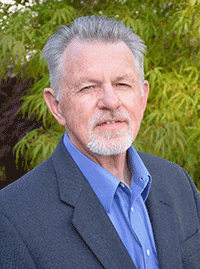 Ron Thom, staff scientist emeritus at Pacific Northwest National Laboratory’s Marine Sciences Laboratory in Sequim, Washington, has been elected president of the Washington State Academy of Sciences. Thom, whose two-year term began in September, conducted research in PNNL’s Coastal Sciences Division before retiring in 2013. He received emeritus status in 2016. The Academy provides expert scientific and engineering assessments to inform public policy making and works to increase the research impact across the state. It is comprised of approximately 280 elected members who are nationally recognized for their scientific and technical expertise. More than half of the members are also members of one of the National Academies, and three are Nobel Prize winners. In his new role, Thom will preside over board meetings and annual member meetings. He will also supervise the affairs of the Academy and help advance its mission by working closely with the Executive Committee, the Board, Academy members, the Governor, and state agencies. Thom was elected to the academy in 2010. In 2011, he joined the Board of Directors and became President-Elect in 2016. He has focused on coastal and estuarine ecosystems for the past 45 years, researching systems in several states, including California, Washington, Oregon, Alaska, Massachusetts, New York, Nebraska, and Alabama, as well as in China and Korea. Thom has served on numerous technical panels and has co-chaired several industry conferences. Other PNNL researchers who serve the Washington State Academy of Sciences are Don Baer (Secretary) and Board members Sue Clark and Jud Virden. Retired PNNL staff members Subhash Singhal and Allan Konopka are former Academy presidents.